Hello Frndzzz.... www.dealsnloot.com Back With New Freecharge App Offer. 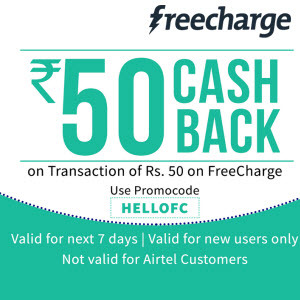 Freecharge offering Prepaid Mobile Recharge Rs.50 cashback on Rs.50 recharge. It works only for new users. Not valid for Airtel Users.